This sight might, for some Disney goers seem unimaginable. 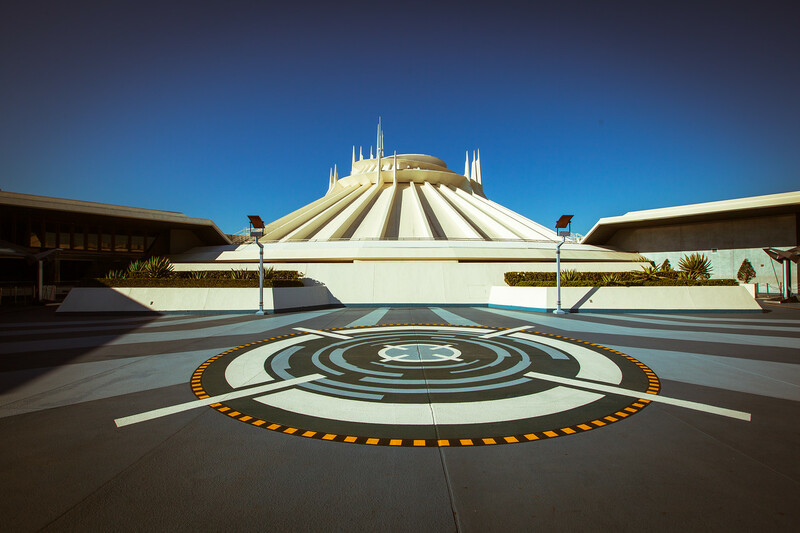 A nearly deserted Space Mountain. All I will say is get to the part early. Go deep into the park, ride the things you want first thing. I think I rode Space Mountain three times before lines stated forming and I ventured off to another of the many joys at Disneyland! As much as I fly, you would think I would take tons of aerial photos from planes. NOT SO! With a few exceptions, I usually don’t. I am, what you might call a getter-upper. I drink a ton of water (and wine) when I fly and I tend to use the lav as much as the rest of the cabin combined. As such I am an isle seat preference on my account (you have that set, RIGHT). 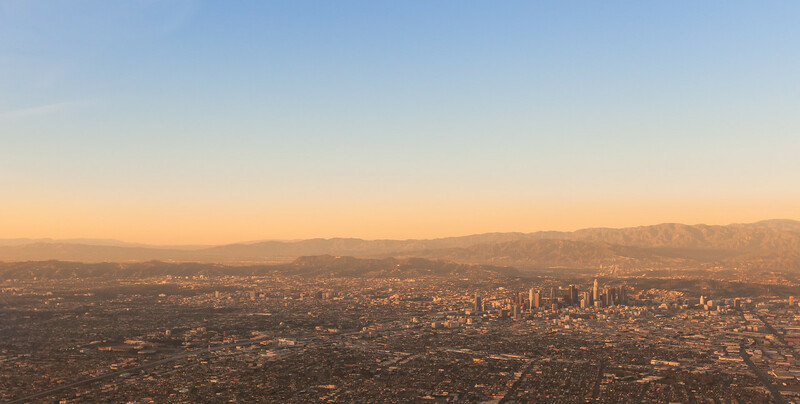 On this flight, the sky was crazy colored with the sunset and the smog hanging over L.A. that I just leaned over the guy sitting next to me. He too was taking photos so that helped break the ice! Today’s photo is an exploration of line. I was talking about this with a work colleague this week…sometimes things grab me and won’t let go. While I was in Singapore recently I was walking through an MRT station and I hit a hallway playing a Burburry ad. I linked it below…I hit the hall and it stopped me in my tracks. Literally. I tend to walk pretty quick for someone with really short legs and I literally just STOPPED! A lady behind me nearly ran over me and I didn’t even have the presence to apologize. I finally stepped over to the side. What got me, besides the dazzling iridescent plexiglass walls was Joss Stone. Her rendition of I Put a Spell on You with Jeff Beck grabbed me and it still hasn’t let go. I rarely buy music these days and I immediately purchased this song. When something grabs you it can be helpful to understand it by breaking it down and isolating the element that most strikes you. I have been doing this with the Stone/Beck song. 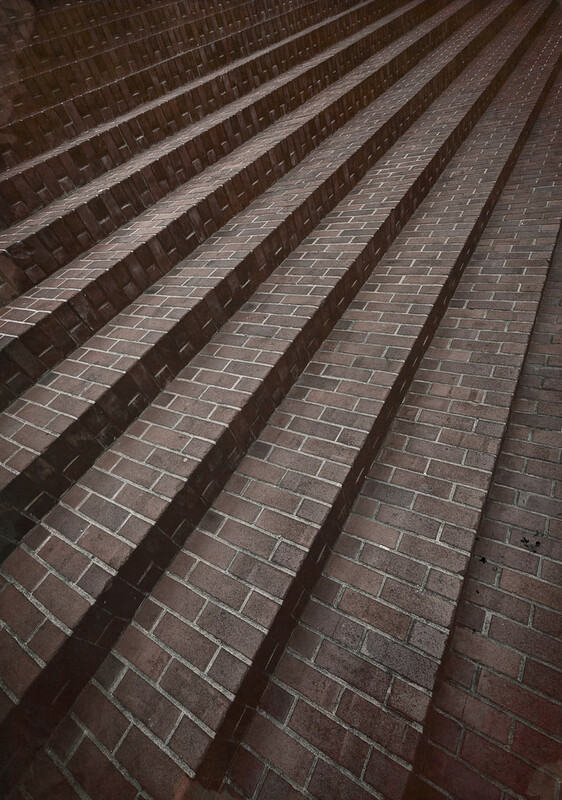 For me, these stairs in from the of the Grand Hyatt in San Francisco are all about line. The color is nearly removed, all other distractions are removed…you are left with the line. The geometry of this common piece or art. 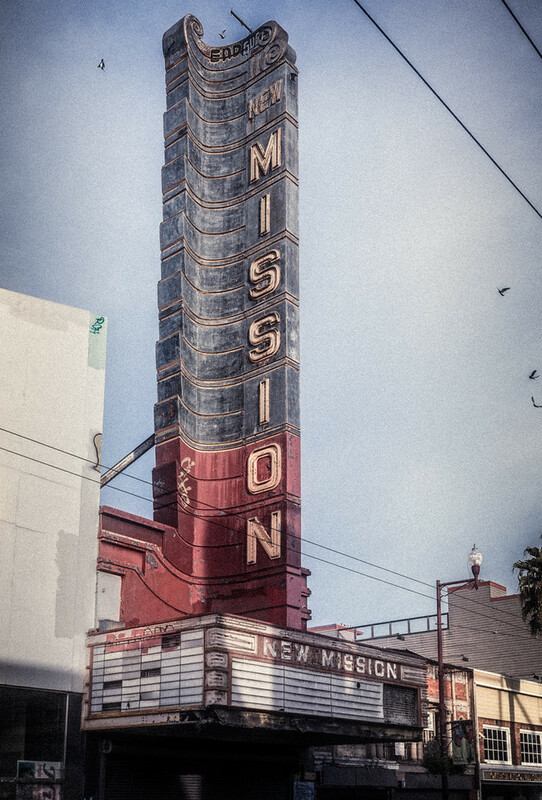 I have an interesting history with The Mission in San Francisco. Today The Mission is undergoing gentrification (and has been for some time). With property SO expensive in San Francisco, it’s inevitable that eventually people will start purchasing properly in the more run down parts of the city. When we first visited, we stayed at a hostal and I trotted out in my purple Tommy Hilfiger shirt and white shorts (it was the early 2000). I didn’t QUITE fit in with the crowd. Today The Mission is the “COOL” part of town. Some of my favorite places to eat are here and what is still my favorite breakfast place in the world is here. I always made a pilgrimage to have vegetarian biscuits and gravy any time I visit the city by the bay. We visited some of Pamela’s relatives in California. Before heading over to the family festivities one morning we stopped for a Starbucks which I have finished by the time we arrived for our visit. One of Pamela’s aunts asked if I would like her to rinse out and save my cup for later. I tossed it in the trash thinking I didn’t want to be a bother. I could tell Aunt Jan was a bit beside herself, but I didn’t realize why until later. I was trying to save Jan work, but she was trying to save waste. A different view of resources exists in California than in the mid-west one that might well be more conscious there than here. 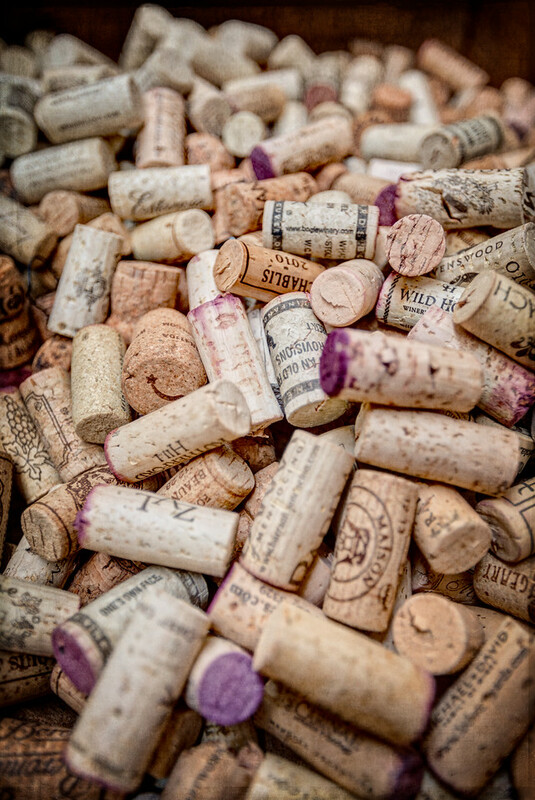 These wine corks in San Francisco were both decoration and headed for recycling. There is a consciousness of the scarcity of cork in a land where cork is essential to the wine business. I keep thinking of saving my cork here, but where in Missouri, would you even take used corks? I spend a lot of time wondering what IS art? What makes something worth attention. What makes it worth looking at, and does that matter in today’s world where Kim Kardashian has 25 Million followers on twitter. I keep thinking back to a post Trey Ratcliff wrote about snapshots. I’m not sure the photo hits the mark in that case, but the sentiment is all too familiar, at least for me. I wonder if what I do matters to anyone, then I wonder if I really care if it does or not. Art is medicine for my soul, but it never seems to quell the questions or the doubt. On a happier note, today’s photo is from DISNEYLAND! I really enjoyed the Cars area in Disney California Adventure. It’s true you can see everything there in a day, but its a great time and I luckily had the park hopper pass so I could bounce around freely. It’s something very easy to do at the California parks, but almost impossible in Florida! It’s absolutely no secret that I LOVE to travel and part of that is inevitably staying in hotels. Some people find American hotels to detract from the experience abroad, but I have never really found that to be the case. We absolutely LOVED our little apartment in Paris, but I also loved staying at the Hôtel du Louvre, simply for the convenient if not a bit busy location. The thing I appreciate is when hotels look and feel different, and base that off the overall history of the city. I love when properties pay attention to their architecture, and design a space that is like nothing else you have been in. This is absolutely the case with Hyatt at Embarcadero Center. 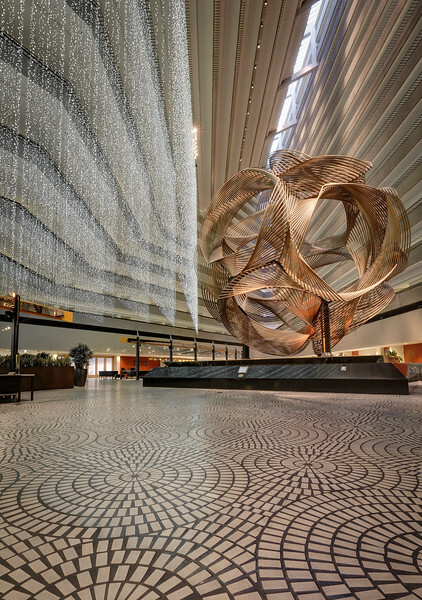 Sure, THEY didn’t design Embarcadero Center, but they did design themselves into it and oh what an interesting piece of San Francisco Architecture it is. 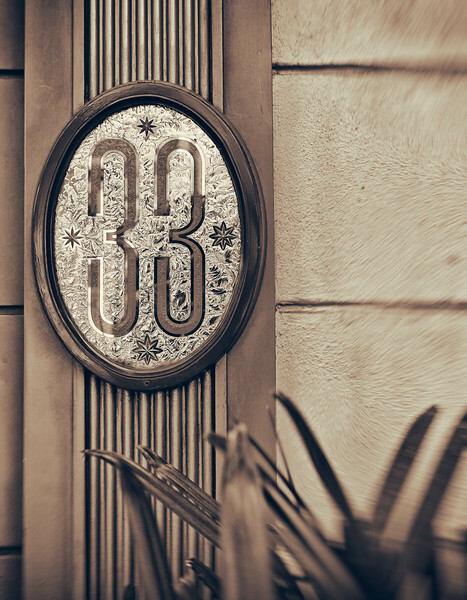 It doesnt get more exclusive than Club 33 at Disneyland in California. The wait list is said to be in the years. When they do call be prepared for the $25,000 join fee, and $10,000 a year membership fee. There are a few places where you can get a few glimpses of the club from outside, but these only give you the most vague feel of what it must be like inside. 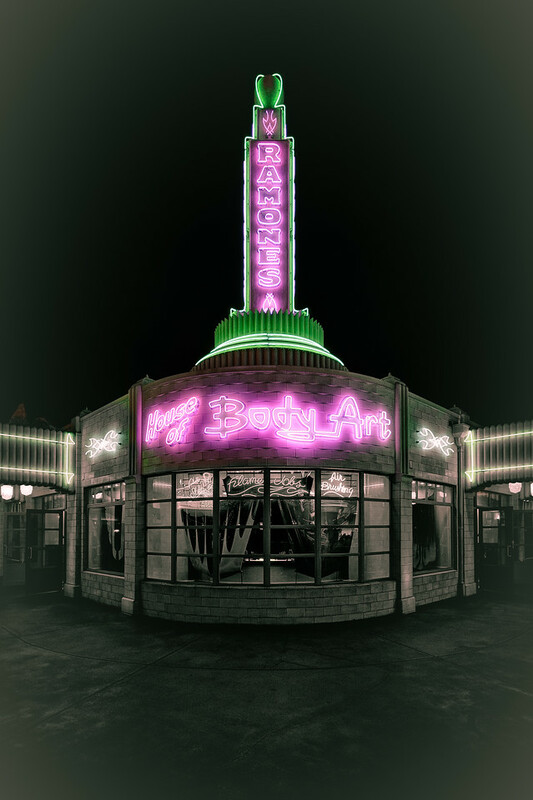 If you happen to work at Disneyland and need a photographer to photography The Club…I might know someone! If you noticed the theme brewing, never fear…I am off to Hawaii again soon so that will capture my attention soon. 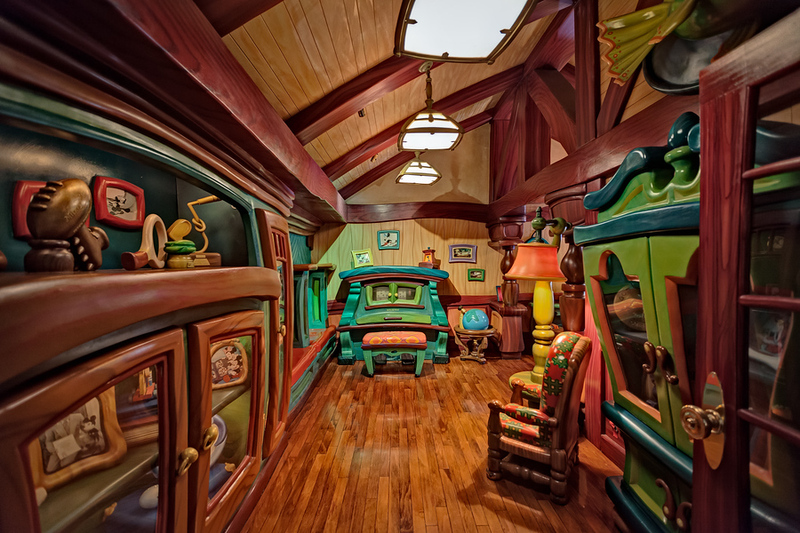 This is a shot from the small, but wonderfully detailed world of Toontown in Disneyland. It’s almost like the set of Who Framed Roger Rabbit exploded all over with some of your favorite Disney Characters thrown in for good measure. Here I am visiting the Home of Mickey Mouse. I you have no love for “The Mouse” please excuse my next three post indulgence. It seems I am getting carried away by my Disneyland Adventure. I am always surprised at how much FUN I have visiting these parks. There is always too much to do when overseas, but I almost would love to see how things are different. I have been twice to Walt Disney World in Florida, but this was my first visit to Disneyland in California. The park is noticeably much smaller, but I’m not convinced that is a bad thing. If feels more intimate…more special somehow. Perhaps it’s the personal touches of Walt Disney himself that makes it so wonderful. This view of the entrance to Tomorrowland was taken on my final night in the park. 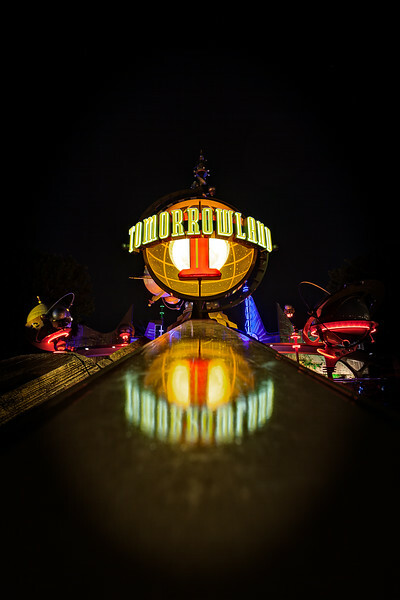 Check out my Gateway to Tomorrowland photo from the Magic Kingdom. I don’t suppose you can tell what my favorite “Land” is in the parks.